West Park Subdivision is one of South West Anchorage’s newest conveniently located communities just off Kincaid road. 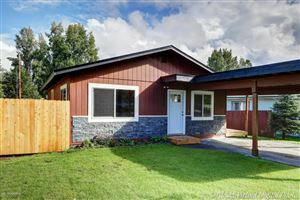 West Park is within minutes to Kincaid Park, known for its biking & walking trails as well as lighted ski trails, also easy access to Ted Stevens International Airport & Downtown Anchorage as well as close to grocery stores, restaurants & shopping. This subdivision consists of affordable homes ($300,000-$600,000), public utilities, and spacious lots. West Park is a planned community with sidewalks on each side of the street, street lighting, landscaped common areas, and will soon feature a park and school. The West Park Subdivision is still under development so you can have the opportunity to purchase an existing home, a new construction home or a custom built home. If you are looking for a home for Sale in West Park we have all homes for sale in this area featured on MLS from ALL the Real Estate Companies. If you are looking for a New Construction Home in the West Park Subdivision call/text 9074404661 for availability of lots and pricing information.